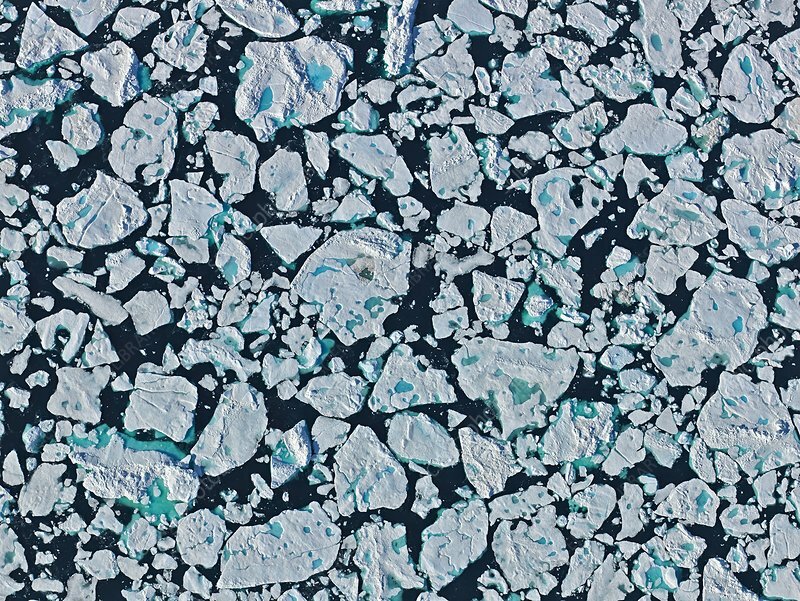 Aerial photograph of sea ice floes in the Greenland Sea. In the short arctic summers the ice cover of the sea breaks into innumerable ice floes. The meltwater in the pools on the floes and the water at the rim of the floes is flat and appears turquoise in comparison to the dark blue sea water around it. The pools on the ice absorb a great deal of the solar radiation. This conducts energy into the ice, and so the more pools on the ice the quicker the ice floes melt.